Dimensions: 28 diam. x 9.1H in. Beautiful and traditional, the Red Ember Clarksville Propane Fire Pit provides a classic fire pit look. 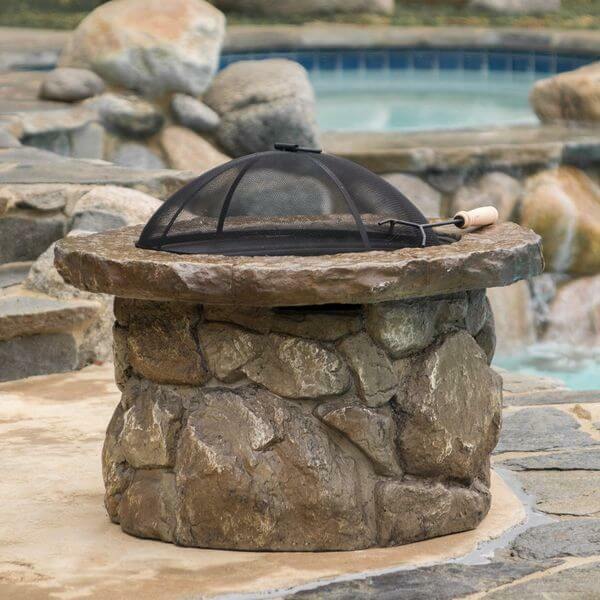 It is made to resemble natural stone and provides up to 30,000 BTUs of heat to heat up any medium sized area using a 20 pound liquid propane tank. This simplistic AmazonBasics Natural Stone Fire Pit with Copper Accents features a striking, natural stone design that can add classicism to any outdoor living space. It measures 34 inches by 25 inches and comes with a log grate and fire tool. The included fire screen protects against wandering sparks. 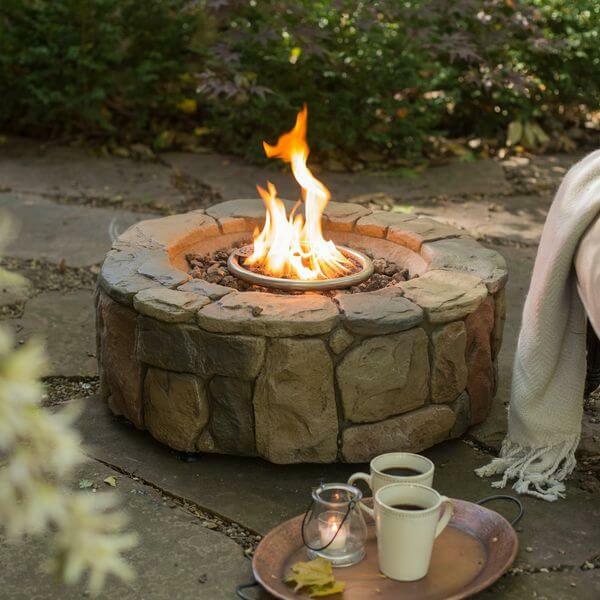 Perfect for warming up and livening up any outdoor living space, the Sun Joe Cast Stone Fire Pit is an ultra-sophisticated fire pit made with a durable cast stone base. 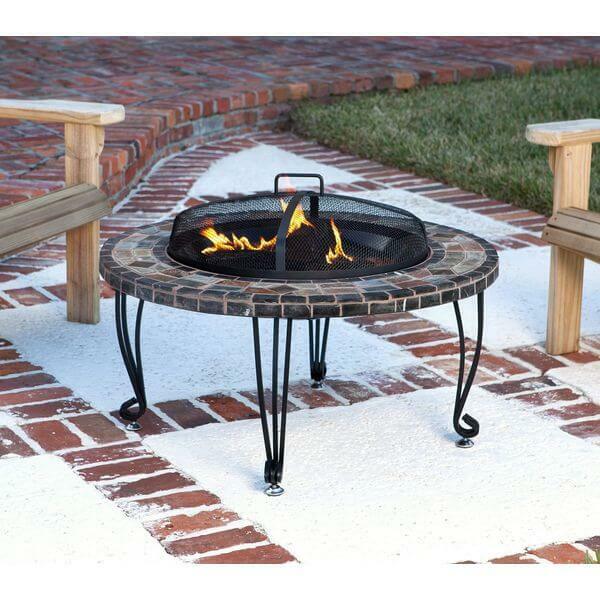 Its fire bowl measures 29 inches in diameter and can hold logs measuring up to 21.5 inches in length. 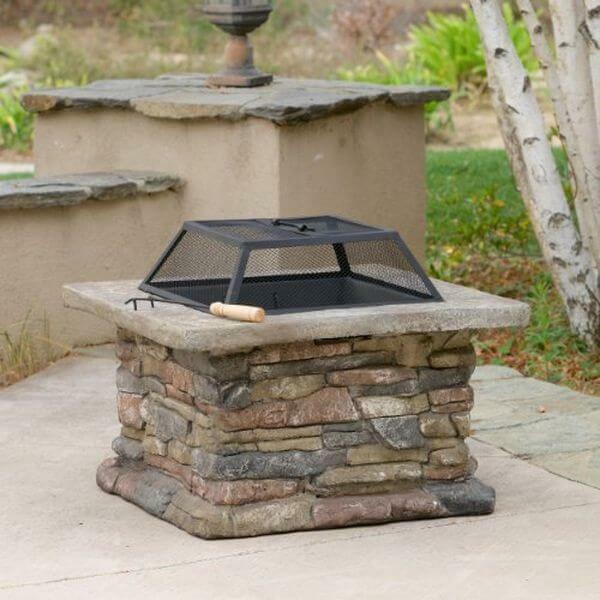 The Tundra Natural Stone Fire Pit comes with a fire bowl that has been crafted out of heat-resistant iron. The base is made from cement that has been reinforced by fiberglass. The removable mesh cover protects you and your guests against any wandering sparks. Able to give off 30,000 BTUs of heat, the Bond Mfg Pinyon Gas Stone Look Fire Pit can warm up any medium sized outdoor living space. It uses a 20-pound liquid propane tank and comes with a protective cover that keeps it safe when it is not in use. With its beautiful stone design the Taylor fire pit is a great addition to your deck, patio or outdoor entertainment area. 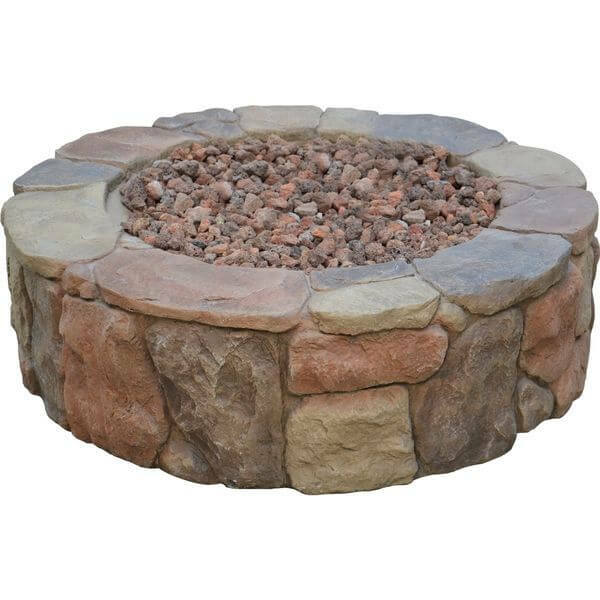 This durable stone fire pit is ideal for cool weather entertaining and adds a touch of atmosphere to most any gathering. 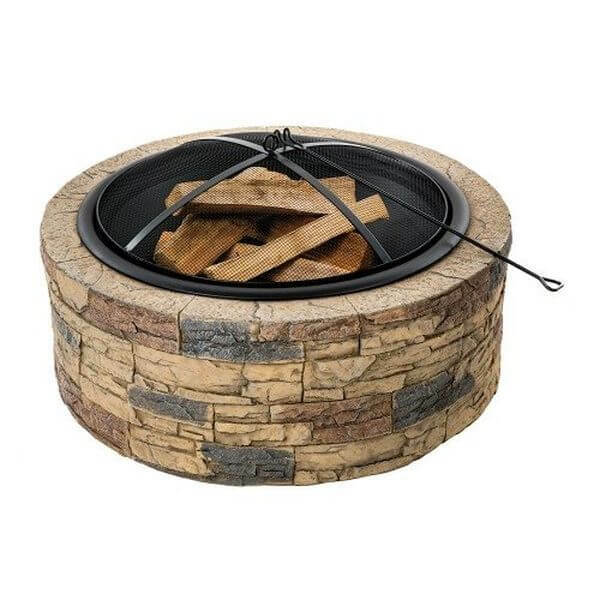 Made from reinforced cement, powder-coated iron and glass fiber, the Taylor Outdoor Natural Stone Finish Fire Pit features a natural stone finish that looks great in any outdoor space. It measures 29 inches in depth by 29 inches in width and 21.5 inches in height.